RETURNED BY ADOPTER on 3/26, AVAILABLE NOW! 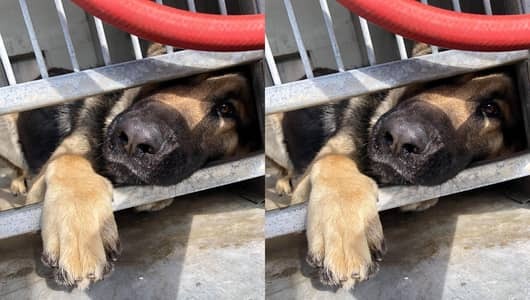 1 Response to "Heartbroken and depressed GSD returned to kill shelter, nobody heard his silent cries for help"
How is it that he is lister as a Pit Bull when he’s obviously a German Shepherd?? ?